ControllerState is the contract of the states that KafkaController can be in. Every ControllerEvent has an associated state. When a ControllerEvent is processed, it triggers a state transition to the requested state. 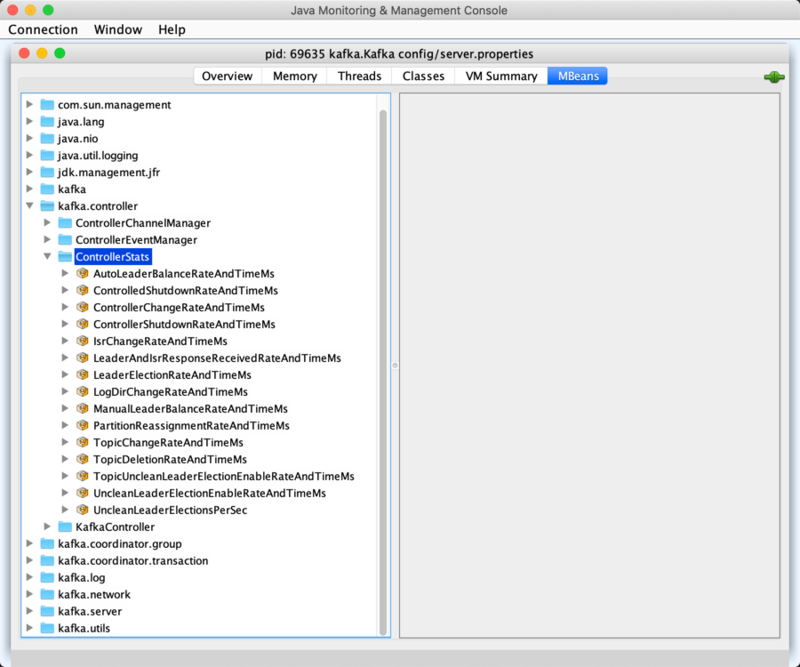 These state transitions are used for ControllerEventManager and the owning KafkaController. ControllerState has the rateAndTimeMetricName (except Idle state). ControllerContext uses them to build a registry of KafkaTimers for every ControllerState. The timer metric name pattern is kafka.controller:type=ControllerStats,name=. Idle has no rateAndTime metric. ControllerState is a Scala sealed abstract class and so all the possible controller states are in a single compilation unit (i.e. a file).